Artist Giuseppina Giordano would love to speak with you! Giuseppina Giordano is an artist-in-residence at MASS MoCA thru February 19, 2019. She believes in the creative and transformative potential of pregnant women and invites you to participate in an art project. 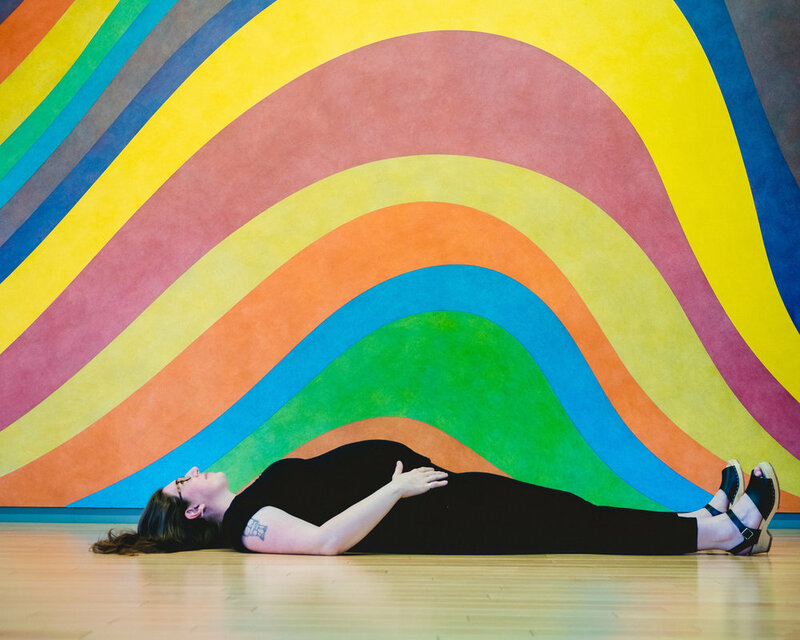 If you are pregnant, or if you know anyone who is pregnant and who might like to spend 15 minutes being interviewed at MASS MoCA, please reach out to Giuseppina at giuseppinagiordano.info@gmail.com. TRACES OF DREAMT CHILDREN is a prejudices-free research project for a book and work of public art that collects the personal experiences of pregnant women with particular emphasis on the dreams and the infinite possibilities that unfold during pregnancy. This is a life-long project for Giuseppina. Her goal is to create the conditions to trace the psychological transformations that a pregnant woman experiences. Ultimately, her dream is to develop a network of women who together build a place, in the public space of each participating community, that becomes the opposite of a cemetery: a place focused on the living -- on transformations, uncertainties, and the future -- in which each pregnant woman is an agent of change for a new reading of pregnancy. Giuseppina has been working on this project in several countries, and is excited to make connections with pregnant women in different settings, and help build a shared artistic and social practice that can be sustained over time. At this stage of the project, she is looking for pregnant women who live within a short drive of MASS MoCA, or are visiting the museum, and want to share experiences of their pregnancy with her by answering questions concerning: the first moments of pregnancy, body sensitivity, fears, dreams and the special self-awareness that comes with pregnancy. To participate reach out to Giuseppina at giuseppinagiordano.info@gmail.com. Visting MASS MoCA for the day? Stop by Giuseppina’s studio at MASS MoCA, Building 13 on the second floor. For more about Giuseppina’s work visit her website here.